Painting exhibition “Compañeros de viaje” by the artist Pablo Pereiras of Retratos de fauna, who will exhibit his works in the auditorium of the EOT, until October 15. 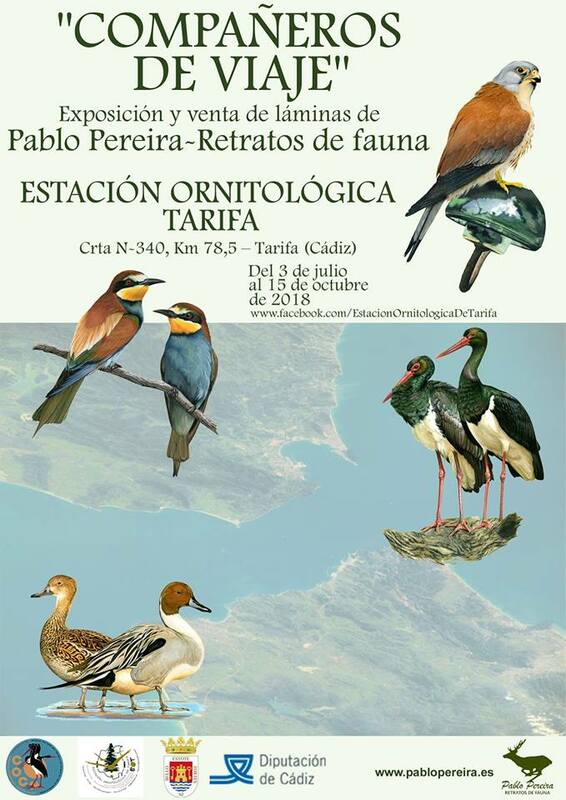 There will also be available to visitors, prints made by the author for sale, and part of the proceeds will be to cover expenses of the Ornithological Station of Tarifa. IMPORTANT: The opening hours will be on Tuesdays and Thursdays, coinciding with the opening of Information Point, which can be seen in the google schedule and on the EOT’s facebook.